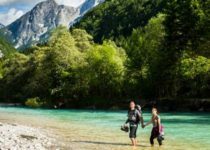 Slovenia outdoor – If you’re looking for something special this year, we have a really good idea for you. There is a small outdoor treasure located in central Europe – Slovenia. The secrets of Slovenia are unspoiled nature, mountains and small magic towns with endless possibilities for outdoor adventures. We are sure that everybody will enjoy – nevertheless if you are a crazy outdoor adventurist, family with small children or just a nature-loving person. 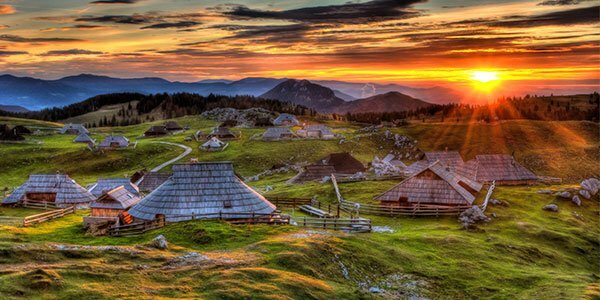 We selected 7 vest of Slovenia Outdoor destinations for your perfect outdoor holidays! 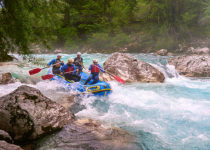 Bovec is Slovenian outdoor activity epi-center. You will fall in love in this valley with emerald Soča river, which define special spirit of adventure and outdoor life. Bovec offers perfect relaxation in unspoilt nature and stunning views. The pleasant little town, surrounded by the high peaks of the Julian Alps, is a paradise for all sports enthusiasts. – The Julian Alps are paradise for hiking, trekking, sport and mountain climbing. 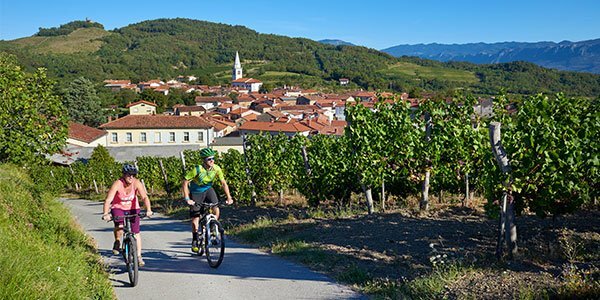 – The Soča valley is well-known for its diverse bike trails and cycling paths. After a nice ride you can take your pick of a great range of outdoor activities. – You can’t miss unforgettable zip-line park with breathtaking panoramic view above the river. This lovely little alpine town is surrounded by the majestic mountains of the Julian Alps, and has stunning mountain scenery with great access to the Triglav National Park. 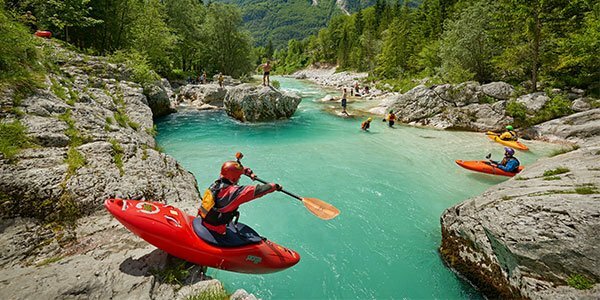 Kranjska Gora is an excellent destination for outdoor adventures! Check out the vibe in the capital city! Distances in Slovenia are short, which makes Ljubljana a perfect start for your outdoor holiday. Within a single day you can visit the Slovenian coast, or high mountainous regions, or experience the karst region – all within one hour’s drive. Ljubljana is a perfect starting point for discovering slovenia thru short one day trips or weekend experiences. Bled represents one of the most beautiful alpine resorts, complete with an amazing lake, which you must not miss if you are visiting Slovenia. Bled’s lake is characteristic of Slovenia’s beauty. In summer it is ideal for swimming and all other water activities. 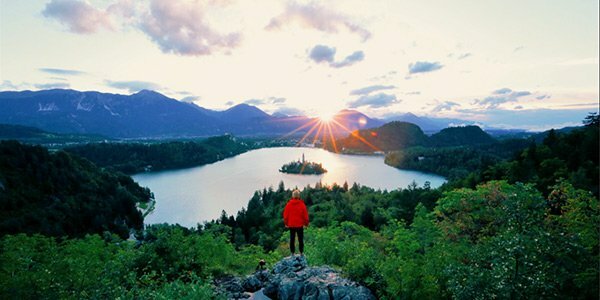 Bled is an ideal starting point for a relaxing break or outdoor holiday. Encounter the karst area, which is a unique natural, cultural, and historical landscape that lent its name to all the karst phenomena in the world. 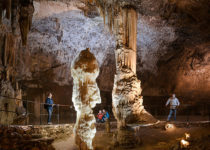 Water and rock have been particularly creative here, forming more than 11,000 caves teeming with stalactites and stalagmites of incredible shapes. – Discover the wine region and try Slovenia’s autochthonous red wine and enjoy in culinary delights. If you are seeking time to relax you need to visit Mediterranean Slovenia and enjoy the magic of the sea and the sun. You will fall in love with this small, colorful towns. 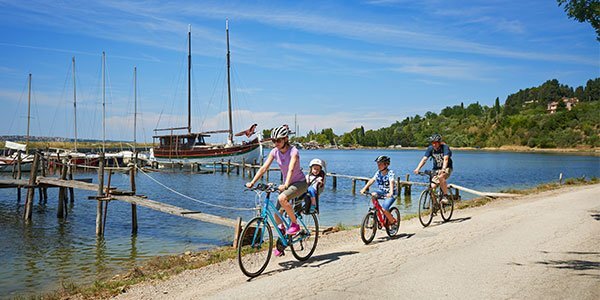 Slovenian Istria offers an amazing mix of traditions from three counties – Slovenia, Croatia and Italy. You can combine your time for relaxation with plenty of outdoor activities. So, the problem is solved! You just answered your own question – Where to go this year!? Be different and try something new and magical. 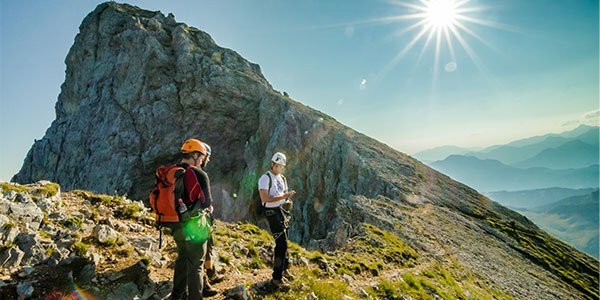 Experience the wild and unspoilt beauty of Slovenia with endless opportunities for hiking, sightseeing and outdoor adventure – the possibilities never ends. 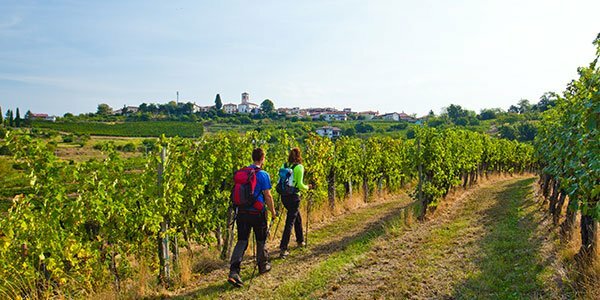 Don’t waste your time organizing your holidays – get a free plan in a few seconds and explore Slovenia with local tips! Find the holiday style and duration that suits you and simply get your free plan. 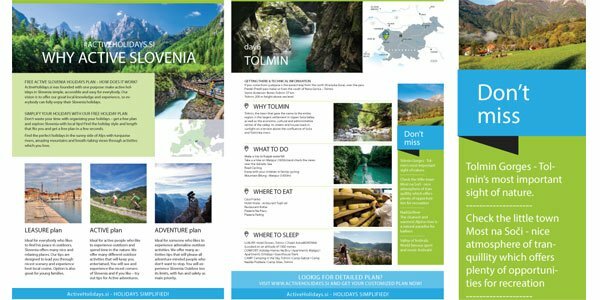 If you want FREE tips for your holiday in SLOVENIA get our free plan now!